A company in the lead, dynamic and attentive to agriculture development. Nobili deals with agricultural mechanization: a modern reality and well organized, able to meet or exceed farmers’ and contractors’ variable expectations with great competence and skill. 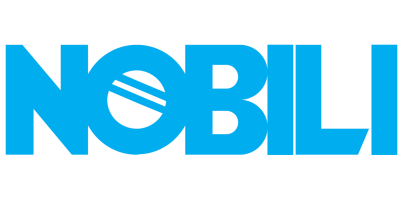 Nobili production is designed, developed and realized in the plant located in Molinella – in the heart of Emilia Romagna region – through out a modern managing supported by not only technical progress but also excellent coordination of production and marketing. Technology, productivity and work quality are basic features for Nobili product range which is wide and versatile with an incomparable choice of mulchers, sprayers and fork-lifts models. The continuous evolution and personalization of Nobili product range has given the possibility to get – nowadays – a great importance position to the company, not only on national market but also in Europe and all over the world with an export turnover being currently over 75%. Technological innovation pursued by Nobili is always fruit of enthusiasm and continuous engagement to new solutions searches. Of greatest attention is the aim at being technological leaders in agricultural mechanization focusing the maximum engagement on customers’ specific needs. Farmer together with contractor growth represents for Nobili its own growth respecting different realities and environment. The constant control on purposes and leading values represents the basis and the leading force to all most suitable and correct company decisions for all collaborators and company itself through a successful team work. Constant employees involvement and sharing – among different company departments and competences – ensure a high-quality in products and work supporting customers and final users competitiveness. Nobili history began in 1945 when Mr. Efrem Nobili founded in Molinella the “Officine Nobili Efrem” (O.N.E.). His idea was to succeed in rationalizing the agricultural activity through mechanization, thinking about the solutions able to combine simplicity and reasonable costs. Such philosophy has leaded Nobili company in the long way to nowadays and has given it the possibility to evolve in a coherent way together with agricultural evolution. As basic workshop, Nobili has changed throughout the years. Its first production was based on diaphragm pumps fed by air compressor. They were used to equip animal-drawn cask wagons with wooden tanks so that farmers could have for the first time access to effective mechanical means for pesticide treatment of their plants. From this moment the step towards evolution was short. In 1953 the first mist-blower with wooden tank was realized and then the production proceeded to models with steel tanks, run by a self engine or by the tractor’s power take-off (pto). In the same period the building of the present factory in Via Circonvallazione Sud started and - throughout the years – was enlarged and fitted to the time rising requirements. At the beginning of the sixties the building of the factory was completed. The production was directed to more compact models, equipped with more advanced OM engines aligned with fan unit. In these years Nobili production started to differ and extend. To this period belonged the so-known “Zig-Zapp”, a side hoeing-machine conceived for cleaning and working the soil between plants in rows. In the same years started the production of first fork-lifts and mulchers – complete with product collection tank. In 1969 was realized the first RM series mulcher with large-diameter rotor and the possibility to fit a windrow-maker. In 1969 Nobili SpA was established and its managing was taken up by Mr. Mario Rossi. In the seventies the mist-blowers were characterized by further innovations. First fibreglass tanks appeared together with diaphragm star pump models with passing-by eccentric shaft. 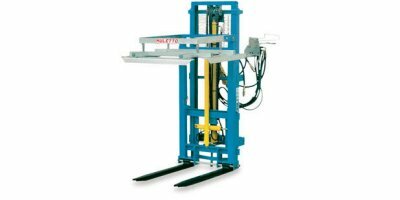 During these years Nobili company also realized self-propelled hydraulic lifts. Exactly in this period Nobili company began to give a look over the export market pointing his innovative and versatile mind towards wider horizons. The first steps – towards the Eastern European countries – were represented by collecting wagons production, the so-called “Bin Picker”, conceived for working directly with bins and – afterwards – the introduction of self-propelled wagons “Transporter” for bins transporting, loading and downloading. In the seventies appeared BMG series mulchers complete with opened hood and with the possibility to be equipped with different types of blades, Y-blades included. The eighties have represented a great growing period for the company. Mist-blowers working autonomy has been increased with the introduction of more aerodynamic shapes 3000 l. and 4000 l. tanks. At the same time mulchers field has been enriched with new models: new BNU, BNG, BNE series and the more specific VN series for vineyards and BNA series for orchards. 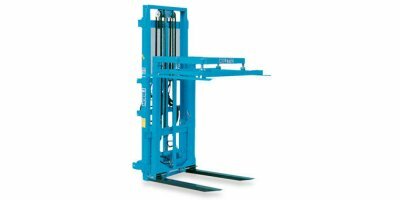 Concerning the self-propelled fork-lift the possibility to have the “swivel drive” was introduced. In the nineties Nobili equipment has been enriched with the most modern technologies achieving the greatest productivity and the highest work quality. Mist-blowers have been equipped with lighter polyethylene tanks with the addition of secondary tanks for circuit- and hand-washing. In these years GEO series and its evolution OKTOPUS series have been conceived. Concerning mulchers the product range evolution has brought to the development of VK and VKD series, WMU and VKM series specifically conceived for the set-aside (uncultivated fields cleaning) proved to be winning also for maize. For working in heavy-duty conditions and for great extents NK series has been realized. Starting from this period all mulchers are equipped with gearbox with integrated free wheel. Thanks to its knowledge and – above all – to the high gained esteem, Nobili company has got through out the years an International name. Mulchers series has been amplified meeting different markets requirements from Europe to Australia. The trend is that of presenting more and more productive and sturdy machines and of introducing front version machines giving the possibility to work by matching more machines at the same time. A greater attention is given to landscape maintenance together with agricultural areas such as roadsides, hedges, meadows and gardens. TB and TBE series mulchers are introduced together with Hedge and Grass Cutters - Rear Arms. Oktopus series is further developed and more detailed with Stretto, Mini, Boom and MiniBoom versions. This aimed to increase the opportunities of use even for vegetables and fruits cultivations. Electrostatic system spraying represents a viewpoint based on costs optimization and environmental respect and care. Nobili company gives great attention to bioenergetics field as well with the introducing of TRP-RT mulcher for the cutting and recycling of pruning residues.